DJ Durkin is back. The Maryland head football coach, who in the very best-case scenario, was so incompetent at overseeing a program that he allowed it to turn into one so toxic and so physically dangerous to players that it killed one, but who was so competent at instilling a culture of “fear” that players and subordinates were too afraid to speak up with their concerns, was reinstated on Tuesday, along with everyone else who bears responsibility for Jordan McNair’s death. Durkin met with his team for the first time since being put on (paid, of course) leave in August, but some numbers of his players have no interest in hearing what he has to say. ESPN reports that “several players, including starters” walked out of the meeting. 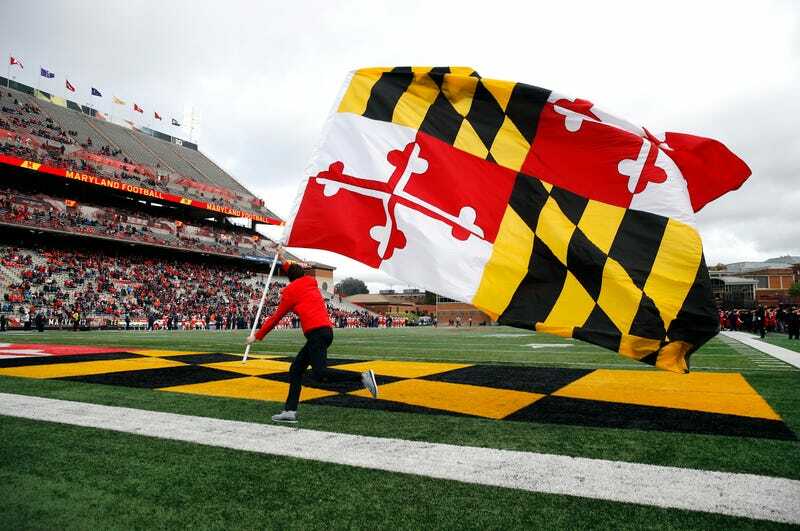 Afterward, a handful of players tweeted their obvious discontent with the program and the decision to retain Durkin, athletic director Damon Evans, and university president Wallace Loh. I can’t begin to imagine how McNair’s father felt upon hearing the news that absolutely no one is going to suffer any consequences for facilitating the death of his son. The reasons for that are painfully familiar ones: plain old cowardice, and the big business of college football. Yesterday, it was reported that Loh, the university president, wanted to fire Durkin, but believed that if he did, the University System of Maryland Board of Regents would fire him. This rings true, knowing everything we know about the whims and loyalties of regents and boosters at any big-time program (as well as programs that think they’re big-time). But Loh’s purported rationale—that it would be “tremendously disruptive” to the entire campus to have to find a new university president—sprung a leak when he announced he will be stepping down next June. Loh could have done the right thing, and fired Durkin, and accepted the internal consequences. He did not. As for why the board of regents appears so committed to Durkin, well, look no further than his contract. The coach is in the third year of a six-year contract that pays him about $2.5 million annually. If he were to be bought out, it would cost the school $5 million. If he were to be fired without cause, it would cost 65 percent of his remaining salary, or, again, about $5 million. If he were to be fired with cause, there would likely be an expensive and protracted legal battle. It is no wonder, that at just about every program, a football coach has more job security than a university president: He makes more money. Maryland football does not turn a profit. It had run, for years, at a multi-million-dollar deficit, but believed that moving to the Big Ten would make it the money-printing machine it always believed it could be. But so far, by all reports, it’s barely breaking even, and has committed to years of serious expenses paying off its fancy new football facilities. The board of regents appears to believe the program cannot afford to take the hit of paying off Durkin to leave, and the likely accompanying loss in donations from insane boosters, on top of the inevitable lawsuit from McNair’s family. The regents announced yesterday, in so many words, that doing the right thing would cost too much money. Just who’s in charge here? Not Durkin, apparently, or he’d have been to blame for his failure to control his sociopathic strength coach. Not AD Evans, or he’d have been held responsible for Durkin’s program. Not university president Loh, who believed he couldn’t act without risking the wrath of his superiors, the board of regents. Not the board, apparently, because they are in thrall to Durkin. And where is the NCAA in all of this? This diffusion of responsibility is no accident, not when it is near-universal in college sports power structures. Nor is the tendency to “committee” any scandal to death. Bureaucracy exists so that no one ever has to be held accountable for anything. Maryland may have struggled with other minor things like keeping its athletes alive, but it’s mastered that. And in doing so might’ve proven it’s a big-time program after all.